Discussion in 'World War 1' started by Diptangshu, Mar 3, 2013. Colonial India had a vital role,may be regarded as a pivotal role during those days of W1 & 2 for both the Allied & Axis. She contributed a huge number of talented soldiers,logistics,animals even hard bucks from her valuable revenue.A huge number of gallantry awards been achieved.A few aces of them are here once to recall of those days. Wg cdr K K Majumdar DFC [No 1 Sq-1st Burma campaigne/RIAF-1555GD(P)] received his DFC from Field Marshal Sir Claude Auchinleck[Nov'42].Two unescorted attack he led to Thiland enemy airfields and with army support he attacked Tennasserim.Many valuable reconnaissances missions he completed successfully with his Hurricane IIc[Rangoon-Prome]before gunned down by the enemy-artillery[Feb '45]. Sq. 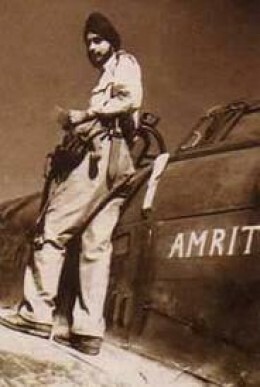 Leader M S Pujji[No 4 Sq//1604 GD(P)] flied Hurricanes ['40 & onwards]to protect coastal convoys alongwith intercepting Luftwaffe bomber fighters when Hitler ordered the bombing of London in the Blitz.He survived several crashes and flew several combat missions throughout the war and extended from Britain,France ,Belgium, North Africa['41 to face Rommel-he gunned down there and British soldiers pulled him out from wreck], Middle-East and upto Burma. One Messerschmitt Me 109 gunned down him in dog fight at Dover.During his Burma combat against the Japs,he own DFC. I L Roy[2nd Lieutenant July'17-RFC] , the 1st Indian ace of RFC achieved 10 kills before his death.He assigned to G McElroy's 40 Sq. too,scored 10 kills between 6-19 July[including 3 in a day]. Lieutenant Roy joined 56 Sq and posted to France. Once he gunned down here during dogfight with Germans and landed at No Mans Land zone of British-German line in France British Army men sent him to army hospital.He was unconscious due to his fatal injury.There he declaired dead and sent him to mortuary.Miraculously he gained his consciousness and returned to bed for treatment. Again,after recovery,he joined No 40 Sq and sent to France for combat mission.His service span was too short,but his achievements were not.During his last dogfight with German Fokker D VII[JASTA-29],he shot down in flames over Carvin. His combat mission ended here but achieved his DFC posthumously[July '18]. 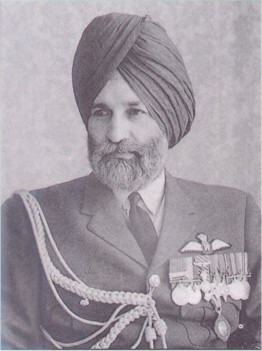 Arjan Singh's two operational tenures on the Burma Front during World War II—the first as a Pilot Officer with No.1 Squadron ("Tigers") and subsequently in 1944, as Commander of the same Squadron, were outstanding. His brilliant,couragious flying career finally decorated by Lord Louis Mountbatten,the then Supreme Allied Commander/South East Asia. The event was commemorated at the airfield itself. On its return from the first Burma campaign, No.1Squadron re-equipped with the Hawker Hurricane.The Squadron remained in operation for a record fourteen months[’43-44] and saw action in the fateful siege of Imphal, and the trans Chindwin andtrans- Irrawady offensives. 4,813 Operational Sorties and 7,219 flying hours against the enemies. The Squadron earned a total of Seven Distinguished Flying Crosses. The Commanding Officer Arjan Singh remained one of them.. Thanks for posting this. I'm always curious to hear about the role that the various peoples under the British Empire played in the wars. I do often hear about the Canadians, and the Aussies, and even New Zealanders, but almost never about the men who served from India, or Africa, or the Middle East, etc. Lord Mountbatten[addressing from wing],the Supreme commander SEAC,visited No 1 Sqn on 2nd July'44 to present DFC to CO Arjan Singh[Burma]. [From left..]Flng Ofcr B Rc Rao DFC, Flng Ofcr A R Pandit DFC, Flng Ofcr Kapur and Flng Ofcr K N Kak DFC with the Squadron pet 'Ceaser'. My hat remains off really for them..
Air Marshal Arjan Sing honored with 17 gun salute, *****, RIP. Air Marshal Sardar Arjan Sing RIP.